Since the launch of our Strategic Plan for Diversity, Equity and Inclusion in 2016, we have created programs across the university and developed new ways to engage with members of our community. We are taking important steps to assess how we are doing and where we need to improve. While off to a good start, we know our work is far from complete. I am proud that our community is using the occasion of our Bicentennial to examine our past and present to inform how we can best achieve our aspirations for diversity, equity and inclusion in our third century. Through classes, a theme semester, art exhibits and performances, and scholarly discussions, we are fostering the types of activities that help us learn as a community and better understand our differences. Gaining more knowledge about our history and community will only help us as we rise to meet the challenges of the future. I hope we will continue to engage in this work together. As students and educators at a public university, and as members of society who aspire to lead in the larger world, we have a special obligation to enhance diversity, equity and inclusion and uphold our most cherished values. 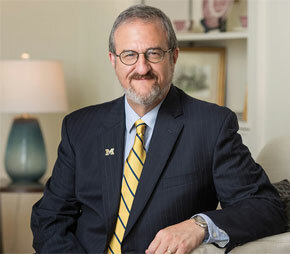 These values remain at the heart of our work to enhance diversity, equity and inclusion at the University of Michigan: We cannot be excellent without being diverse in the broadest sense of the word. And we must also ensure that our community allows all individuals an equal opportunity to thrive.